The BEST selling Orchard Toy made 100% in England . This is one of the finest selling memory games on the market today. Be the first to fill your shopping trolley with all of the items on the shopping list. 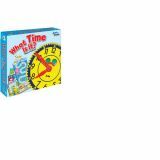 Judy® Clock's game, What Time is It? provides students kindergarten through grade 2 with a unique and fun approach to mastering basic time-telling skills! Aligned to Common Core State Standards, each game board is illustrated with bright, eye-catching colors and easy-to-read game cards! 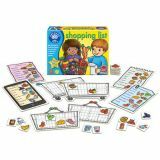 With four different games to play, this set is perfect for center activities or small group instruction. This set includes 4 game boards, 96 game cards and 16 player pieces and is designed for 2-4 players.